In the last few weeks, missionary activists set up a stall in central Tel Aviv, where they have issued Christian materials to passersby. In recent weeks, Christian missionary activists set up a stall in central Tel Aviv where they have been issuing Christian materials and calling on them to convert. The activists even asked passersby for their personal details so that they could continue to maintain contact with them in order to persuade them to eventually convert. Residents of the area who told the missionaries that their activities offended their feelings were met with a refusal to evacuate on the missionaries' part. 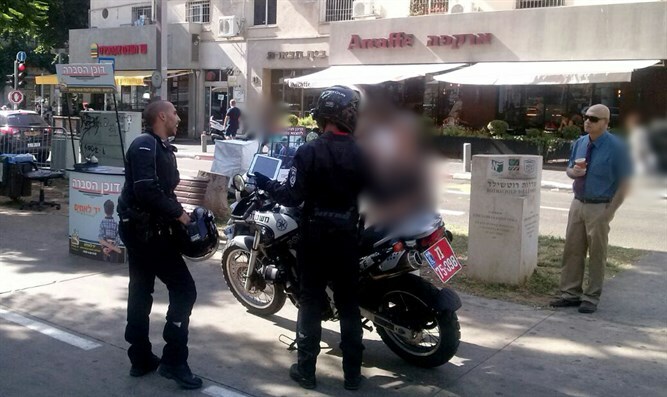 The information about the Tel Aviv stall reached the missionary section of anti-missionary organization Yad Le'Achim, which appealed to the Tel Aviv municipality to close down the stall, as the stall offends local residents' feelings. After consultation with Yad Le'Achim, local residents who live adjacent to the stall complained to the Tel Aviv municipality. "How does the pluralism of the Tel Aviv municipality express itself when, at the same time, it grants a permit to a fanatical missionary cult to locate its premises under our buildings and disturb the residents' peace," said the residents' letter. Tens of residents signed their names on the letter to the municipality.